Easily cleaning - using modular filter foam sections so the pump remains untouched. 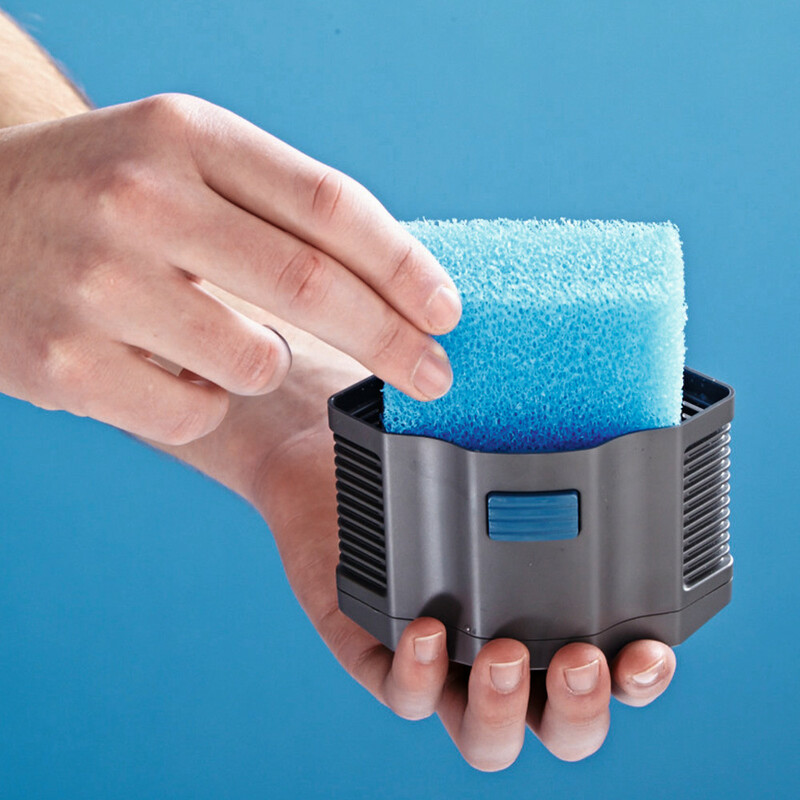 Easy to use control for flexible change from diffuser to water discharge. 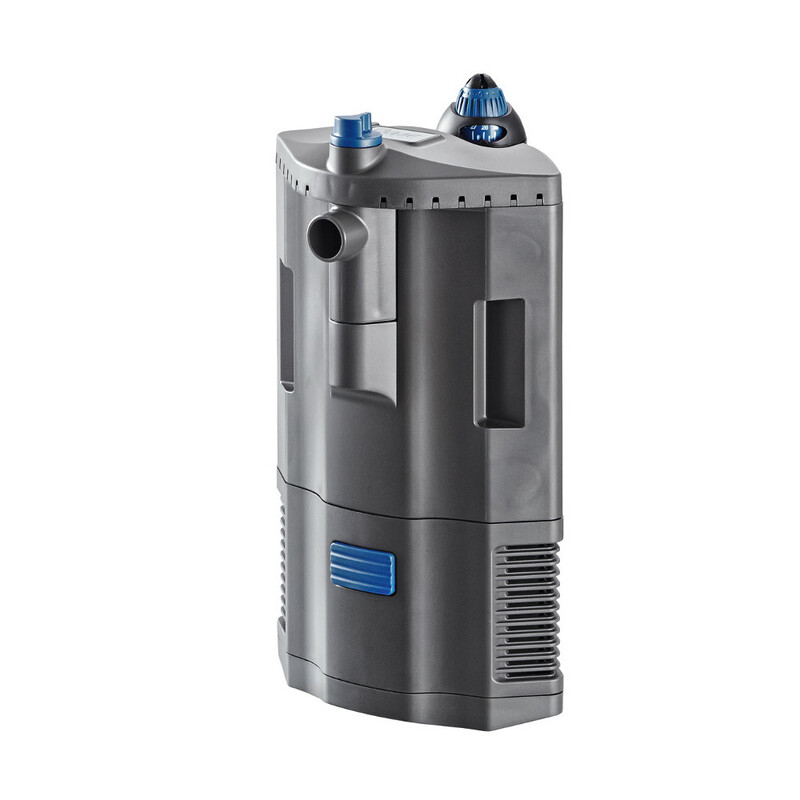 The Oase BioPlus Thermo Internal Aquarium filter is a compact and neat filter that has been designed to sit smartly in the corner of your tank and has the added bonus of a heater included in the filter. 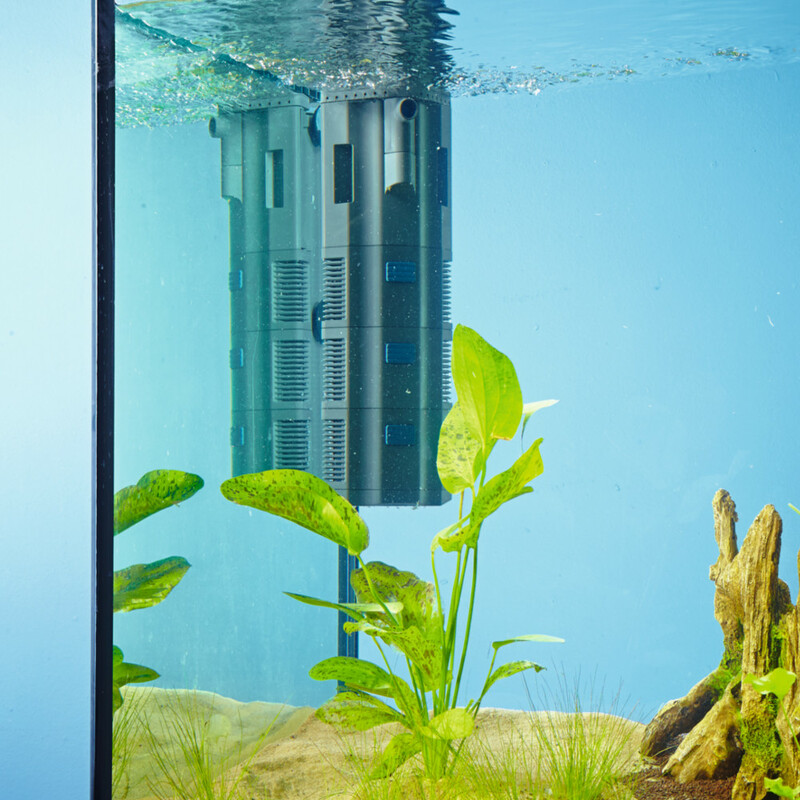 Because of this design, the look of the tank becomes much sleeker and gives more space for the fish inside. 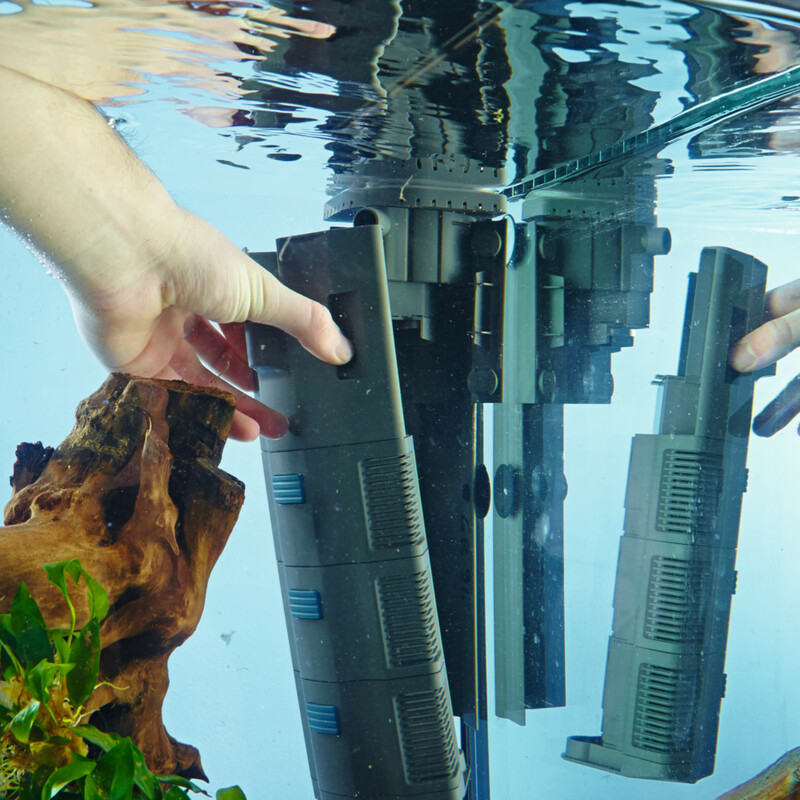 But its not just the design of this filter that makes it a great item, the BioPlus has an array of features making it the best choice for your aquarium. 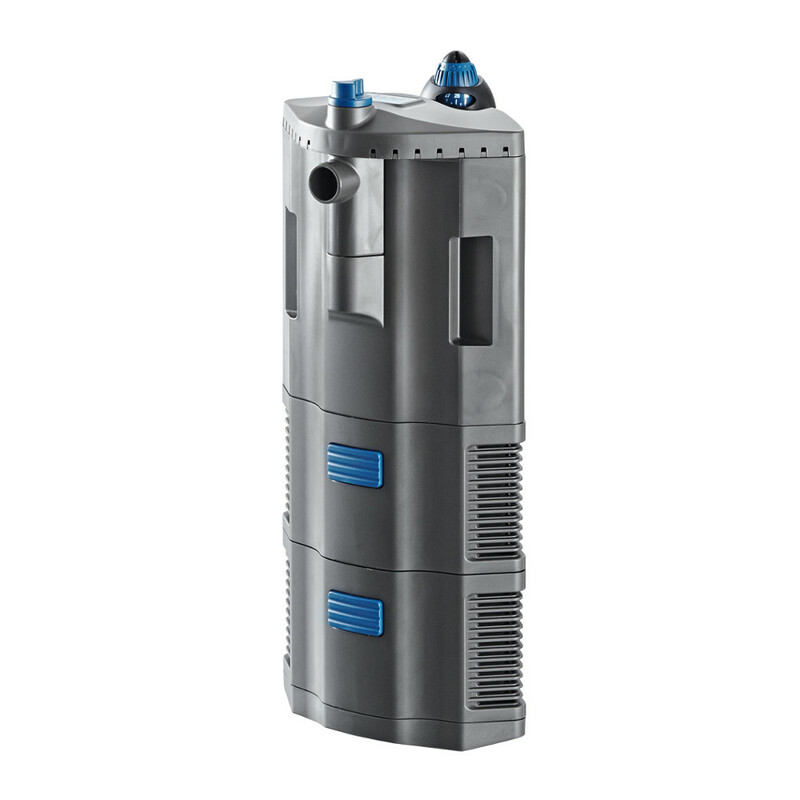 The BioPlus Thermo has a handy slot for a Heat Up heater, included in all Bio Plus Thermo filters. This helps to reduce the amount of equipment in the tank and helps to create a more streamlined looking tank. Each Heatup heater is adjustable and enables you to control the heat it emits. 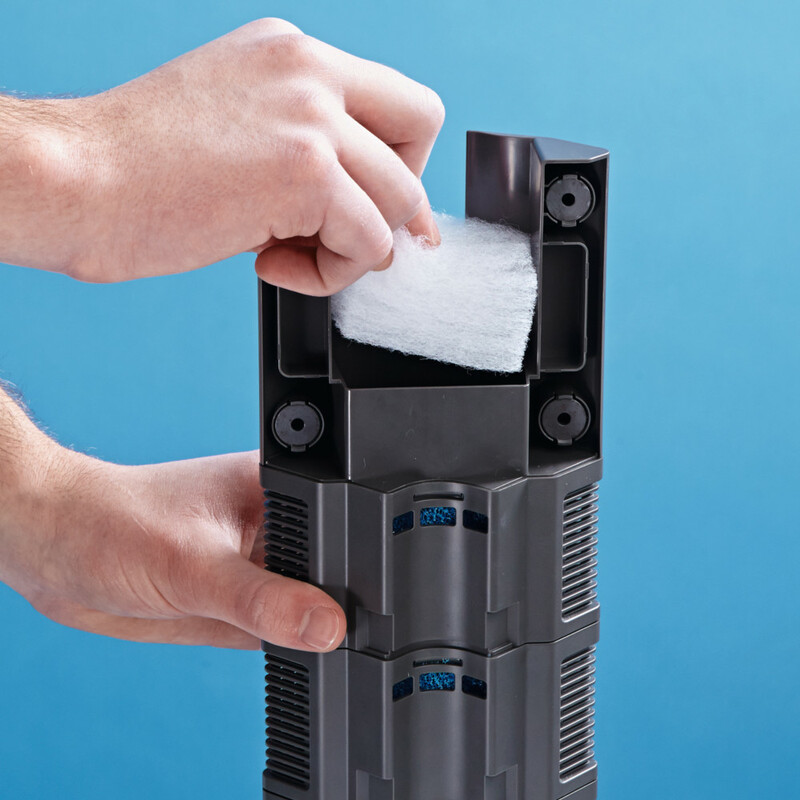 The BioPlus also has a modulated filter media storage section that is easy to clean and change the media inside. 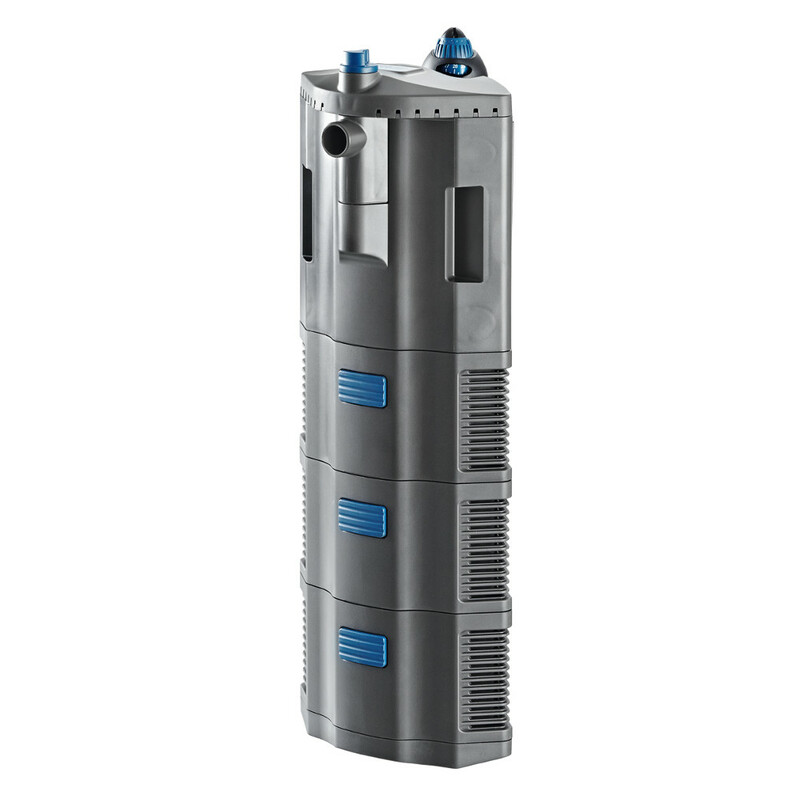 An additional chamber at the top of the filter can also be used for a smaller and finer filter media if required. Each section can be easily unclipped from the main body to enable easier access to replace or clean the media inside. The filter also has an intergrated and completely inconspicuous diffuser located inside the filter top. These small holes in the lid can be used to return the water to the tank and create a waterfall effect. These multiple small jets offer more surface area and breaks the water surface in multiple locations combining to add more oxygen then a single inlet return. This can be easily controlled by the top located adjustable knob that can change it from a diffuser to a water discharge outlet for optimally matched surface motion. 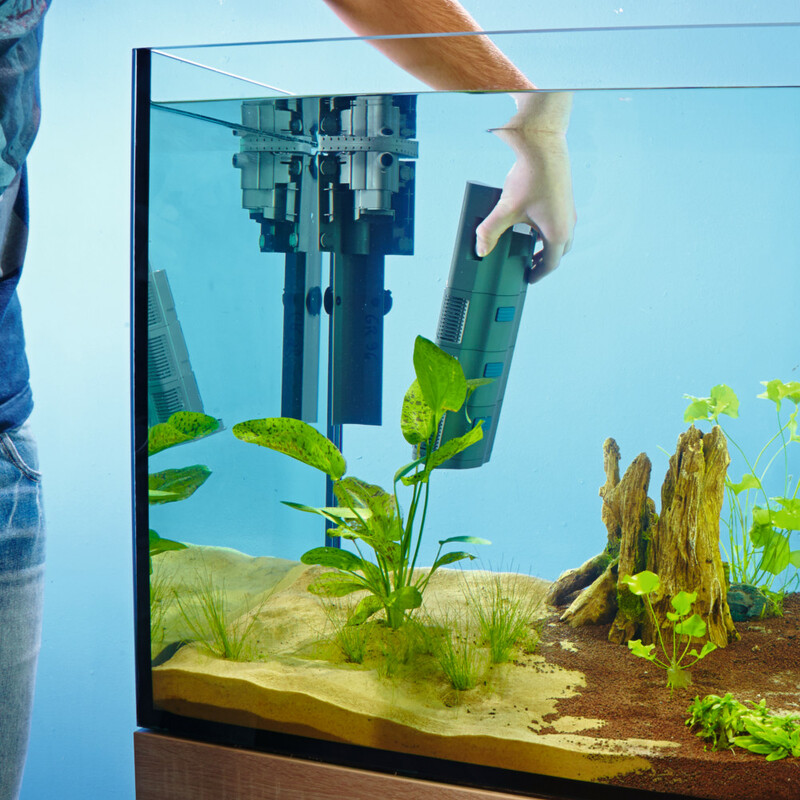 The filters are very easy to position by way of the suction holders on the back, enabling an easy and secure fix to the corner of the aquarium. 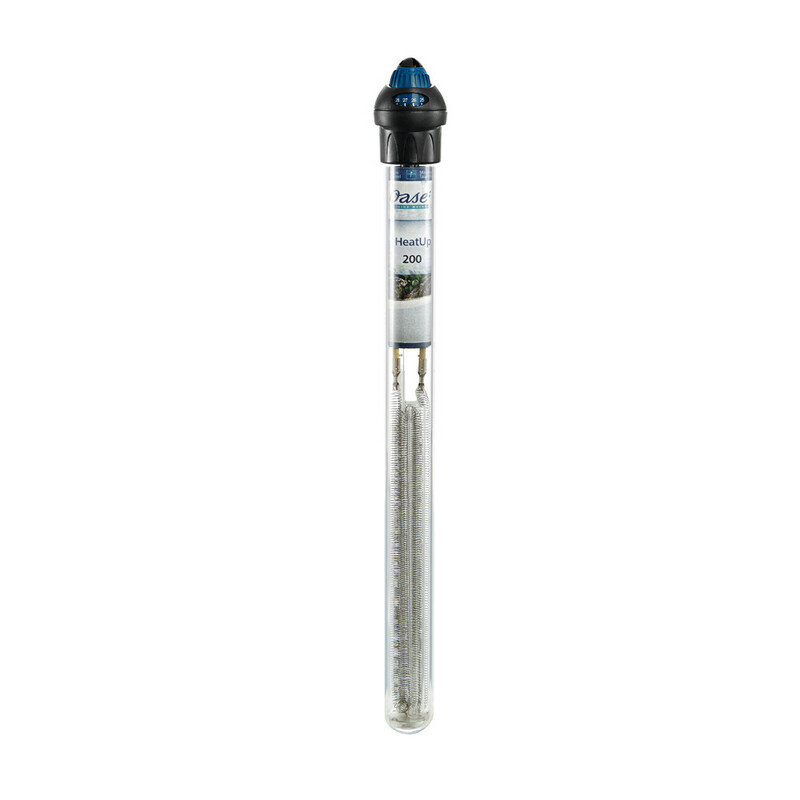 The BioPlus Thermo Internal Filters have 1.5 metres of cable and are suitable for fresh and marine water tanks. 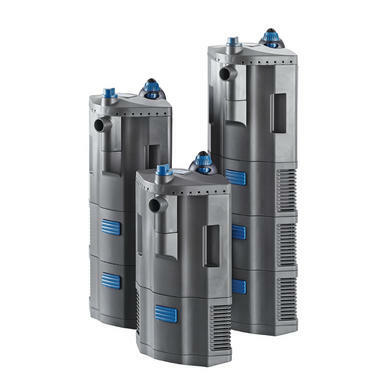 Each filter comes with a 3 year guarantee with an option to purchase an additional year from Oase.